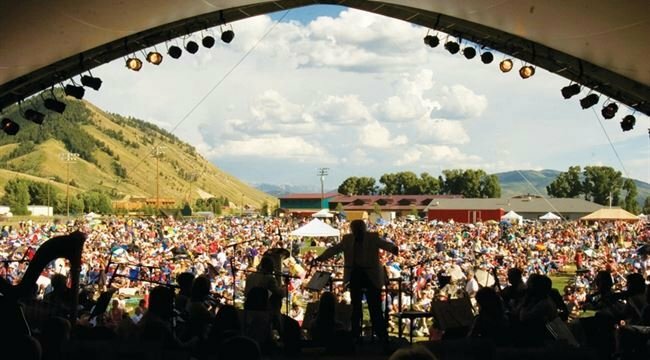 The Grand Teton Music Festival (GTMF) is known for orchestral performances equaling the grandeur of our Teton Mountain setting. Hailing from great orchestras, musicians return to the Tetons each summer to perform challenging repertoire. 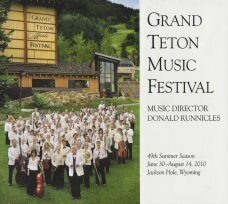 Maestro Donald Runnicles has led the Grand Teton Music Festival as its Music Director since 2006. Runnicles is concurrently the Music Director of the Deutsche Oper Berlin, the BBC Scottish Symphony Orchestra and Principal Guest Conductor of the Atlanta Symphony. 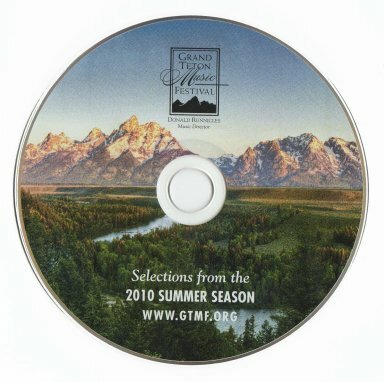 The Grand Teton Music Festival began in 1962. Concerts in the early years took place in a canvas tent at the base of Rendezvous Mountain. Through the years the Festival has grown into one of the nation’s finest, and now takes place in acoustically-acclaimed Walk Festival Hall. 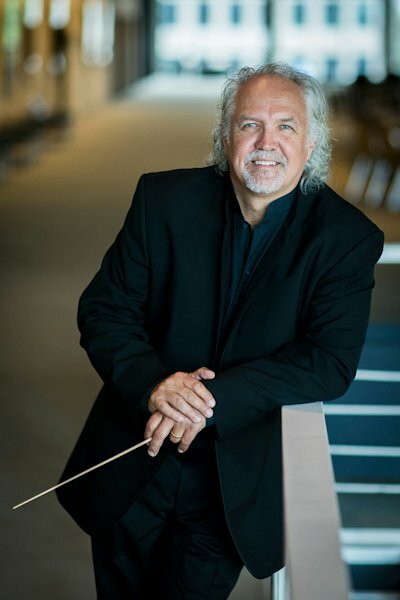 Donald Runnicles is concurrently the General Music Director of the Deutsche Oper Berlin; Chief Conductor of BBC Scottish Symphony Orchestra; Principal Guest Conductor of the Atlanta Symphony Orchestra; and Music Director of the Grand Teton Music Festival. Maestro Runnicles’ career can be characterized by high quality of performances strongly centered in grand romantic opera and symphonic repertoire of the late 19th and 20th centuries. As General Music Director of the Deutsche Oper Berlin, Mr. Runnicles has primary responsibility for the musical forces of this historic company which produces, on average, twenty five productions per season. This season, Mr. Runnicles conducted Don Carlo, Otello, Tristan und Isolde, Billy Budd, and Werther among others. Born and raised in Edinburgh, Mr. Runnicles literally returned home to take up the post as Chief Conductor of the BBC Scottish Symphony Orchestra (BBC SSO). He conducts five of the BBC SSO’s main series programs in the orchestra’s Glasgow home and leads this orchestra in two programs at the London Proms each summer. 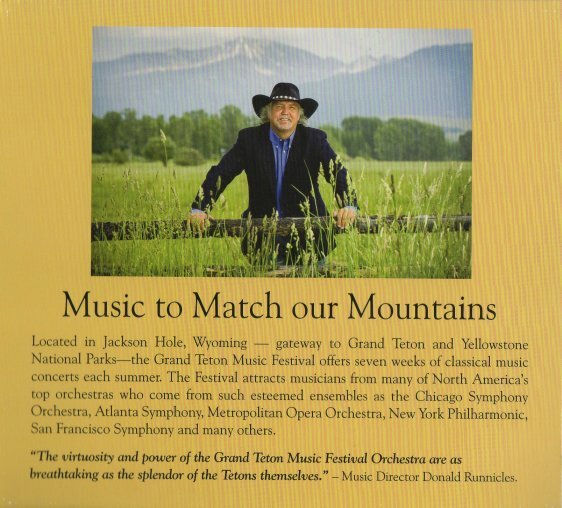 Maestro Runnicles has been Music Director of the Grand Teton Music Festival (GTMF) since 2006 and recently renewed his commitment through 2019. At GTMF he designs the repertoire; conducts four weeks; and participates as a pianist in a number of chamber concerts. Runnicles’ commercial recording of Wagner arias with Jonas Kaufmann and the Deutsche Oper Berlin won the 2013 Gramophone prize for best vocal recording. In March of 2015 he will, once again, conduct at the Berlin Philharmonic. Then in June of 2015 he returns to the San Francisco Opera (where he conducted for seventeen years) for a new production of Berlioz Les Troyens. Founded in the early 1960’s, Teton Village was modeled after European-style villages and has continued to evolve and progress into a mature, year-round, family-friendly retreat. 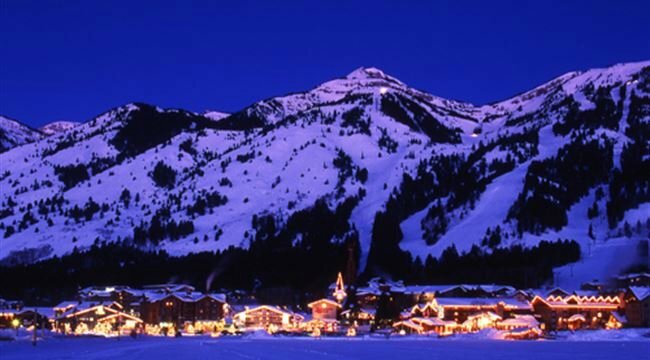 Teton Village is located just 12 miles from the town of Jackson (Jackson Hole) at the base of Rendezvous Peak. Jackson Hole is a high mountain valley located along the western border of the state of Wyoming. The name “hole” derives from language used by early trappers (or mountain men) to describe a valley surrounded by mountains. These valleys contain rivers and streams which are good habitat for beaver and other fur-bearing animals the trappers were seeking. Jackson Hole is surrounded by the Teton mountain range on the west and the Gros Ventre mountain range on the east. With foothills and jagged peaks, the Tetons are commonly associated with Jackson Hole and are a popular sightseeing attraction for many visitors. The Gros Ventre Range contrastingly is geologically older than the Tetons and has a much broader width, encompassing huge expanses of wilderness.